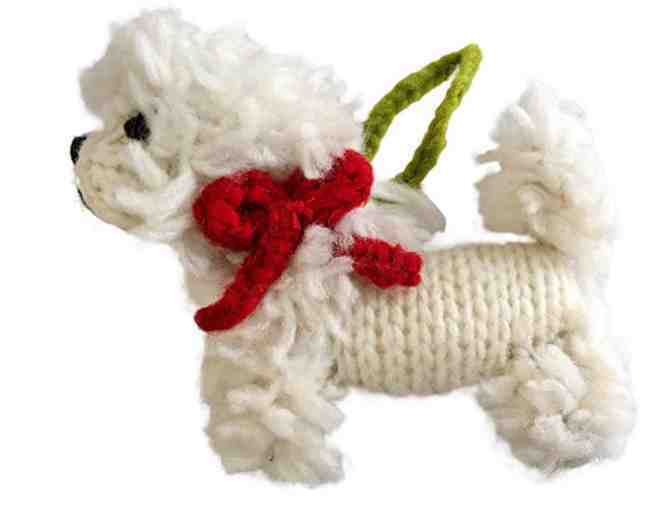 This adorable bichon ornament is hand made out of wool. Approx. 4x4 inches.